Just as today no one will ever go into a store and thrill as they unfold the triptych of the latest Roger Dean album cover, so too, in a short period of time, no one will go into a bookstore and stop as they smell that rarefied combination of pulp and fresh ink. Like it or not (and I don’t) we are moving toward a world in which sales of physical books will be a niche market, like vinyl LPs are today. 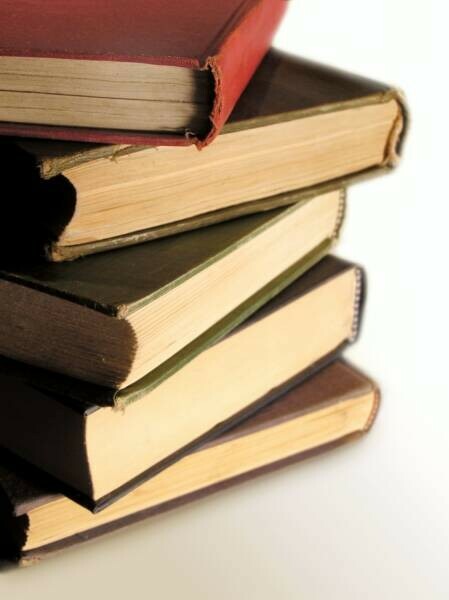 Most of the trade in these items will involve used books and take place in small, dust-filled shops where these throwback items will eagerly line the shelves, their worn spines and faded gilt lettering displayed to their best advantage. Like potential adopters at an animal shelter, we will wish we could take them all home, but we will not be able, and will have to satisfy ourselves with saving just one or two. A plethora of experiences and rituals will be lost to this, the Kindle generation. Technology will enhance their lives in many ways, but in this one arena, they will be the poorer for it. The tight, fresh binding of a brand-new hardback, its dust cover pristine. The heft of it in your hand, as if the words themselves carried weight. The thickness of it, as a mark of the novelists toil, or the lightness of it, as if the poet trimmed every unnecessary word. And the crack as you open it for the first time, just you, and no one else. Drop it in a puddle, kick it, run over it with the car, and you can still read it. Put the sodden, tire-tracked thing in the oven on warm and let it dry. Take it out, and it wears its scars like an old veteran, but you it will still tell its tale, for ages. On a long winter night, when the power goes out, with a candle and a book you are good for the duration. Its pages never need charging, never run down. The poignance of an old edition of a favorite classic. The cloth of the binding, the marbled end papers, signs of the bookwright’s craft. And when you open it, the evidence of the life this book led before it ever came into your hands, the thin lines of perfect penmanship, “For Douglas, from Judith, Xmas ’41”. Or the old grocery list left inside, decades past, as a bookmark—eggs, milk, butter—nothing much different from today, but for some unfathomable reason, something to cherish. The anxiety of standing in line, shuffling forward, book in hand, butterflies in your stomach. The rehearsal of words, the affectation of nonchalance, and the loss of it all as you finally step up, meet your favorite author, and see her smile as she takes the book from your hands. The smell of the Sharpie as she asks your name, you give it, and the book, this one of many, this one book in a print run of thousands, becomes unique as she inscribes it, signs it, closes it with efficient reverence, and hands it back to you. Her child, the product of her mind and her talent, her words, are now yours and yours alone. The sight of a bookshelf, and the empty slot now filled, old friends with a new neighbor, their titles proudly displaying their wares. Never needing conversion, never needing to be backed up, you can lend them, mistreat them, borrow them, fold down their corners, write in their margins, stick them in your pocket, and throw them across the room. You can use them to kill spiders, prop up tables, and keep a door from closing. You can even forget them for ten years, twenty, and when you find them again, when you open that dusty old box in the attic, when you move that couch and find them lying there, you remember. You remember where you were when you bought it, what your life was like when you first read it. It has been your companion through time, a comrade through shared battles. Try that with your Kindle.